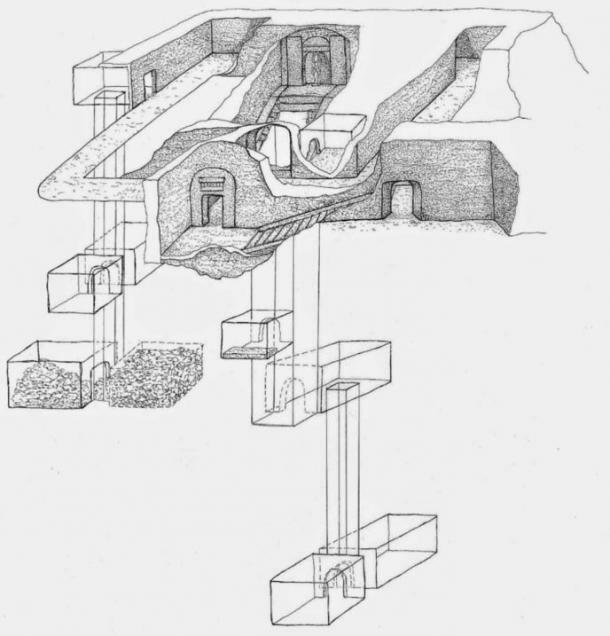 Part of the tomb was initially discovered by archaeologist Philippe Virey in the 1880s and some attempts were made to sketch out the main structure in the 20th century. However, it was not until recently that the full extent of the structure was discovered through excavations. The funerary complex will continue to be explored and the chambers cleared of debris in the Autumn of this year. Melting Polar Ice Caps Reveal Antarctic Pyramids?